Why not become a Friend of the Dalesmen ? 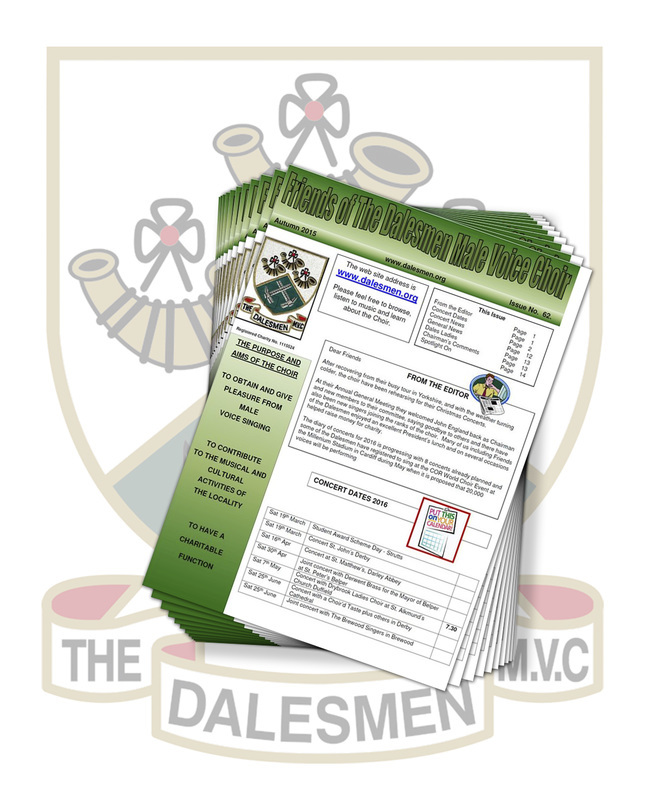 Keep up to date with what has and will be happening around the Dalesmen MVC. A quarterly Newsletter is published and you can receive either an E-copy or alternatively a hard copy by post. ​Each Newsletter is packed with reports, photographs and future concert information, general news and individual articles on choir members. To become a Friend of the Dalesmen or subscribe to the Newsletter, simply complete the enquiry form, submit it and we will contact you. Alternatively, you can telephone us and tell us what you would like to do.